The Healthcare industry increasingly overlooks individuals—we don’t. We value our connection with our patients and the comprehensive care that they’ve grown to expect at ICM. Traditional insurance simply does not allow for personalized medicine. Doctors are forced to pigeonhole patients into specific diagnosis with specific time frames for treatment leaving no opportunity for deeper consultation or preventative care. It’s time for a new healthcare model where patients are put first. To meet this challenge ICM has developed a program centered on the doctor-patient relationship. By limiting enrollment to less than 500 patients (vs. 3,000 in a traditional practice), ICM doctors can spend the time with a patient to provide exceptional, individualized care. Patients of concierge medicine have extended access to a physician, priority scheduling, comprehensive appointments and a true sense of connection with their doctor. We are excited to announce that on January 1st, 2019 we will be transitioning to a concierge medicine model. Concierge medicine is a form of membership in which doctors provide medical care to patients generally providing greater access to physicians, same-day appointments, comprehensive visits and varying other amenities. ICM’s concierge medicine practice focuses on comprehensive and preventative care by offering patients different levels of service to meet their individual healthcare needs. All tiers of ICM’s concierge medicine practice offer you direct access to our doctors and includes many of the services that you’ve grown to love from ICM. This includes many discounted and complimentary services that are not currently covered by insurance. Why is ICM Becoming a Concierge Medicine Practice? Our clinic has continued to expand services at a time when most independent, insurance-based clinics are limiting services, going to cash-based models or closing due to low reimbursement from insurance companies. For the past two years ICM has engaged in an ongoing process to evaluate how we can continue to provide the most comprehensive, high quality care within the increasing constraints of an insurance based model. Our goal is to remain a part of the community and for you to strengthen an ongoing relationship with your doctor and access to naturopathic medicine. Our comprehensive focus on wellness, prevention and natural solutions for your conditions has always included services that are generally not paid for by insurance plans. Extended office visits beyond the standard 8-12 minutes visit, prior authorizations, after-hours pager availability and phone and email communication directly with your provider are just some examples of these non-covered services. Concierge medicine allows us to continue to bill your insurance company for covered services while including many of the “non-covered” services we all love about naturopathic medicine as part of your membership. Covered services include standard office visits, annual physical exams, standard laboratory testing and certain procedures based on your insurance plan. We are committed to offer different tiers of membership to make sure that ICM is accessible to everyone. As we move to a concierge medicine practice on January 1st, you will still receive the same level of service you’ve grown to expect from ICM. Patients will continue to enjoy personalized care, where our doctors spend as much time as necessary with each patient to ensure their needs and expectations are met. These high standards of practice will remain unchanged as ICM transitions to a concierge medicine practice. More details will be coming soon about the different membership levels and the services they include. ICM is excited to invite you to our growing wellness community as we work to remove all obstacles between patients and doctors. We value you as a patient and we remain committed to your care here at ICM. We will be communicating with you continually throughout this process and look forward to continuing to offer the excellent care as we move to a concierge medicine model on January 1st, 2019. We truly value our relationship with you, and we look forward contributing to the long-term wellness of you and our community. Just click the sign up button below to download the signup form. Fill it out and upload it to us in your patient portal or mail it in to our office at 1600 E Jefferson, Suite 603 Seattle, WA 98122. Naturopathic medicine is primary health care that utilizes natural therapeutics, including both modern and traditional methods of treatment. We treat people of all ages suffering from both acute and chronic diseases, from the common cold and flu to cancer. As you can read in the Doctors’ Biographies, we have a range of experience collectively, treating people with such conditions as arthritis, asthma, cancer, depression, eczema, fibromyalgia, IBS, and more. Naturopathic medicine supports the body’s own healing abilities and strives to empower individuals to make lifestyle changes necessary for optimal health. We work in harmony with the body and with nature. Naturopathy utilizes a holistic approach to healing, addressing the whole person: body, mind, and spirit. The core of naturopathic medicine is to treat each person as an individual and to consider his or her whole being. We do not treat one bodily system as a separate entity from the rest of the person’s body and psyche. It is equally important to care for the mind, the body, and the spirit, in the appropriate manner for each patient. Naturopathic physicians are licensed primary care physicians trained in natural medicine. We approach health with a philosophy that treats each person as an individual and considers his or her whole being as we facilitate the body’s ability to heal itself. Naturopathic physicians have attended 4-year accredited medical schools. Enrollment in naturopathic medical school requires a bachelor’s degree and completion of pre-medical prerequisite classes, similar to conventional allopathic medical school. The naturopathic medical education consists of 2 years of basic science classes such as anatomy, physiology, and biochemistry, as well as intensive study of the medical ‘-ologies:’ cardiology, gastroenterology, gynecology, oncology, etc. We also receive 2 years of clinical education in naturopathic modalities at various clinical settings such as doctor’s offices, hospitals, community health clinics, and more. While Naturopathic doctors treat both short bouts of illness and chronic conditions, their emphasis is on prevention of disease and patient education. Many different therapies are used to enhance the body’s healing abilities including nutrition, botanical medicine, homeopathy, vitamins and minerals, Traditional Chinese Medicine, physical medicine, mind-body medicine, and counseling. Naturopathic physicians also use pharmaceutical medications when necessary, and we are well-versed in the interactions between drugs, herbs, and nutrients. ICM offers primary care services for your acute and chronic health needs. Primary care includes disease prevention, health maintenance, health counseling, education, diagnosis and treatment of acute and chronic illnesses. Our doctors take a thorough history, perform appropriate physical exams and order labs and imaging as required to make an accurate diagnosis. Your treatment plan will be individualized to your situation. As primary care providers, we advocate for our patients in the healthcare system and coordinate services. We encourage our patients to be activate partners in their health care. At the Institute of Complementary Medicine, we offer individualized, healthy, weight loss programs so that you find a permanent solution to your weight and health issues. Instead of patients following a cookie-cutter program that is the same for everyone, we spend much time doing a thorough evaluation of health history and optimizing your health in order to eliminate any potential obstacles on your path to your ideal body composition. Patients are counseled on healthy food choices, proper macronutrient and calorie intake and exercise needs. A Naturopathic Physician guides every step of your journey. Who needs medically supervised weight loss? Patients who have established care at ICM and suffer “stubborn weight loss” where diet and exercise alone have not been successful. People desiring a change in their body composition, such as gaining muscle, losing fat and improving hydration. You will be individually assessed using body measurements, body weight and a body composition test (BIA). Your doctor may also perform a waist to hip measurement. This is a bio-impedance assessment, which uses a microcurrent to calculate body fat percentage and mass, lean (muscle) percentage and mass, hydration status, intra (inside) and extra (outside) cellular fluid percentage, basal metabolic rate (how many calories you burn just by being alive) and phase angle (measure of metabolism). This information helps guide the process so that you can be successful. You will be asked to track your diet and exercise with an online tracker. This program allows the doctor to generate reports and get a comprehensive understanding of your diet and exercise. One of the major difficulties with losing weight is that no one program works for everyone. Your body may not respond well to a low carb diet that requires you to eat every three hours, whereas other people will do great with this type of program. Individual assessment is at the heart of ICM’s weight loss program. Your doctor will put together the information from the body composition test and 1-2 weeks of your food logs to generate an initial plan. Your doctor uses many tools for weight loss. Central to naturopathic philosophy is using the least invasive intervention to help you reach your goals. Naturopathic medicine is founded on the belief that you body has the innate capacity to heal and that lower force intervention will ultimately offer a more sustainable solution. That said, many patients suffer severe nutritional depletion, disorders of metabolism, hormonal imbalance and behavioral patterns that can undermine their weight loss success. Severe cases require higher force interventions to move the scale in the right direction. Your doctor will discuss the speed at which you want/ need to lose weight in a way that will ultimately be safe and effective for your overall health. Specialized diets: Paleo, intermittent fasting, keto just to name a few. ICM docs are specialists in the medical management of specialized diet. Regenerative medicine at ICM refers to various injection procedures, such as Prolotherapy and Platelet-Rich Plasma (PRP). These therapies stimulate the body's innate healing processes to regenerate the connective tissues of joints, ligaments, and tendons harmed from overuse or injury. Conventional treatments, such as surgery, steroid injections, and pain relievers commonly do not address the core issue, improve the patient’s musculoskeletal dysfunction, or provide lasting pain relief. Regenerative medicine, in contrast, addresses the root causes of pain and aims to heal the connective tissue structures causing dysfunction, potentially offering lasting relief and well-being. These emerging technologies of regenerative medicine are backed by evidence-based research and are reversing the ailments of degenerative disease and aging. Conditions addressed with these therapies include chronic overuse injuries to the ankles, knees, and shoulders, arthritic joints, chronic back pain and degenerative disc disease, tennis elbow, carpal tunnel syndrome, knee ligament tears, partial thickness rotator cuff tears, plantar fasciitis, Achilles tendonitis, and IT band syndrome. Regenerative treatments include the use of mild-irritant solutions such as dextrose (glucose) or Platelet-Rich Plasma (PRP) are injected into injured musculoskeletal structures in order to activate the healing process. Prolotherapy acts as a local irritant and creates an increased inflammatory response. This increases protein synthesis and collagen formation and increases cell proliferation. Prolotherapy is also thought to increase the presence of immune cells into the affected area and to increase platelet-derived growth factor (PDGF) and interleukin-1β (IL-1β) (chemical building blocks), which improve connective tissue thickness, mass, and strength. Overall, PRP and Prolotherapy are similar, in that they both initiate the body’s innate wound-healing response and both follow an identical injection procedure. PRP provides the healing process with more resources for tissue regeneration than Prolotherapy and is also more expensive than Prolotherapy. Each of these therapies are beneficial for different medical applications, depending on the current state of the patient’s degenerative condition. Treatments with Prolotherapy or PRP range 1 to 6 sessions, spaced 4 to 6 weeks apart. The average patient needs approximately 2 sessions for maximum benefit. What’s the likelihood of a successful outcome? The healing outcome depends on a number of variables, including the patient's overall health, the region of the body being treated, and the quality of nutrition received during the healing process. At the Institute of Complementary Medicine, we have formulated a nutritional supplement to enhance connective tissue healing following regenerative medical procedures. The majority of patients receiving these procedures at ICM report notable improvement; however, like all medical procedures, these procedure do not succeed in all cases. Are Prolotherapy and PRP procedures painful? Pain varies according to the part of the body being treated, the choice of solution, and degree of physical trauma present in the injury. Sometimes these procedures can be moderately painful; however, a local anesthetic is used to palliate pain, and your physician is focused on successful pain management before, during, after your procedure. Treatment typically results in swelling, achy pain, and restricted range-of-motion for 1 to 7 days. During this phase, patients commonly report that their discomfort is palliated with Tylenol. The procedures of Prolotherapy and PRP work by initiating three distinct phases of wound healing: Inflammation, Granulation, and Remodeling. 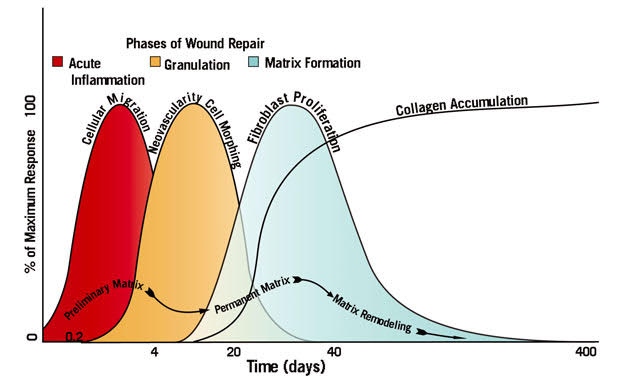 Figure 1 displays the phases and time requirements for complete wound healing. In the first phase, Inflammation, the inflammatory response is activated via a precise injection of a mild irritant directly on the torn, stretched ligament or tendon. During the first 100 hours after the injection, a blood clot forms, sparking several cellular and chemical reactions. The clot gathers platelets, which contain numerous growth factors that drive the inflammatory phase. The platelets attract various white blood cells (leukocytes and macrophages) to the site of injection. These white blood cells kill bacteria and clean up the dead tissue within the wound (neutrophils), and further progress the repair process. The platelets also send chemical signals to the healthy cells adjacent to the wound and the incoming macrophages specifying which ligament, tendon, or cartilage is wounded. Furthermore, platelets direct the reparative cells to “download” the regenerative information needed from their genes to reconstruct the damaged tissue. Once the chemical reactions are finished and the cells have obtained the necessary genetic information, the inflammation phase ends. The second phase, Granulation, begins 100 hours after the onset of the injury, initiating reparative cells to multiply and change shape. Macrophages morph into fibroblasts, which secrete collagen (building block of ligaments, tendons, and joints). Angiogenesis is stimulated at the wound site, creating new blood vessels that supply the regenerating tissue with oxygen and nutrients. Working together, the fibroblasts and blood vessels surround the injury and granulate the wound with newly formed collagen. This cycle of collagen formation proceeds for the next 3–5 weeks until collagen reorganizes into the matrix of the injured connective tissue. The final phase of wound healing, Remodeling, lasts for 12 weeks. Within the reconstructing collagen, a handful of fibroblasts morph into a different functioning cell called a myofibroblast. In response to mechanical stress and instability sensed on the collagen, these cells synthesize muscle-contractile fibers into the area, firming the collagen into a uniform, compact matrix. This process continues until all of the myofibroblasts no longer sense the mechanical stress and instability placed on the newly formed connective tissue. In the conclusion of the Remodeling phase, the gelatin is securely organized into new connective tissue, repaired to its original strength and length, and is indistinguishable from the original tissue, with no scar formation. Figure 1. Ravin TH, Cantieri MS, Pasquarello GJ. 2008. Principles of Prolotherapy. Denver, CO: American Academy of Musculoskeletal Medicine. Declining levels of hormones are a part of the aging process. Not only do hormones decline with age, the decline in hormones can accelerate the aging process. Hormones play a larger role in the body than just fertility and procreation. Hormones are active in many tissues in the body including the brain, bones, muscles, joints and the immune system. Bioidentical hormone replacement therapy (BHRT) is an individualized approach to addressing a person’s specific need for hormone support. The term bioidentical refers to hormones that are molecularly identical and indistinguishable from our own hormones whereas synthetic hormones are not. This difference can account for certain side effects and risks associated with the synthetic version. We work with each patient individually to assess their hormones through careful history taking, and laboratory testing as well as physical exams to determine the best approach for them. BHRT can be administered in multiple ways based on the patient’s response and preference and can be adjusted to an exact dose. Options include: hormone patches, creams, troches (lozenges), sublingual drops, injections, and pellet implants.